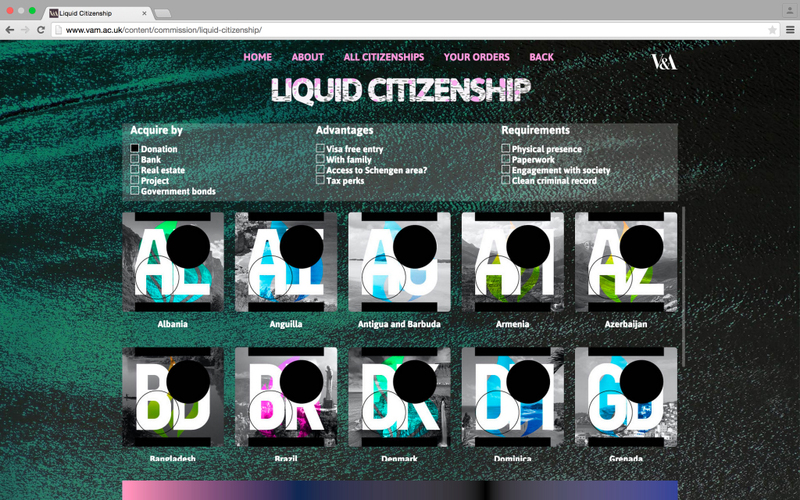 The idea of national citizenship today has become liquid. It is no longer necessarily a product of your culture or nationality, but an asset to be purchased, traded or revoked. 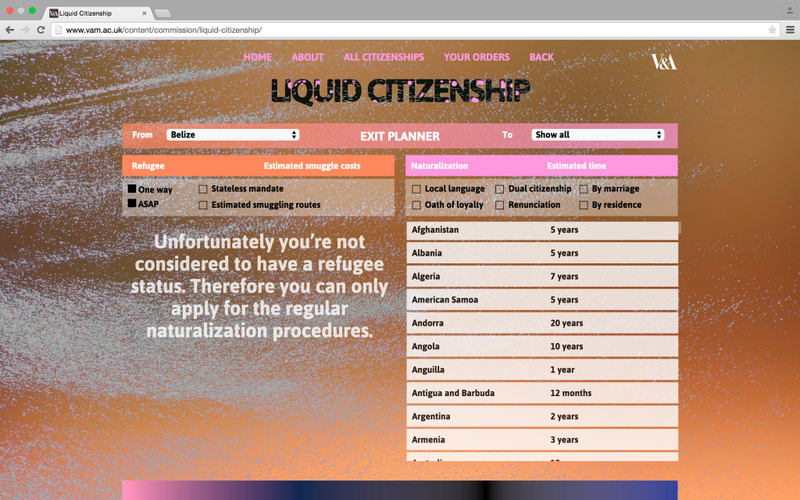 Liquid Citizenship gathers international data on the offers available for purchasing a national passport, or acquiring citizenship through other means, such as naturalisation, people smuggling or asylum seeking. 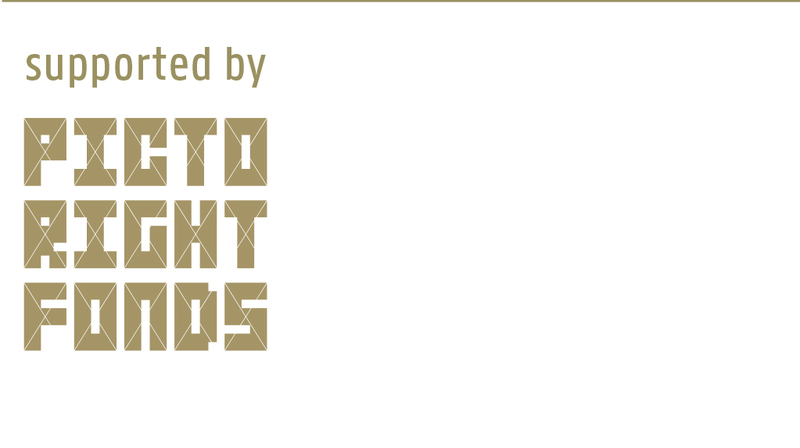 Economic citizenship is a high-end commodity only accessible to elite consumers, others who want to establish a new citizenship are limited to bureaucratic naturalisation procedures or flee their country of birth to be smuggled into other countries as ‘illegals’. 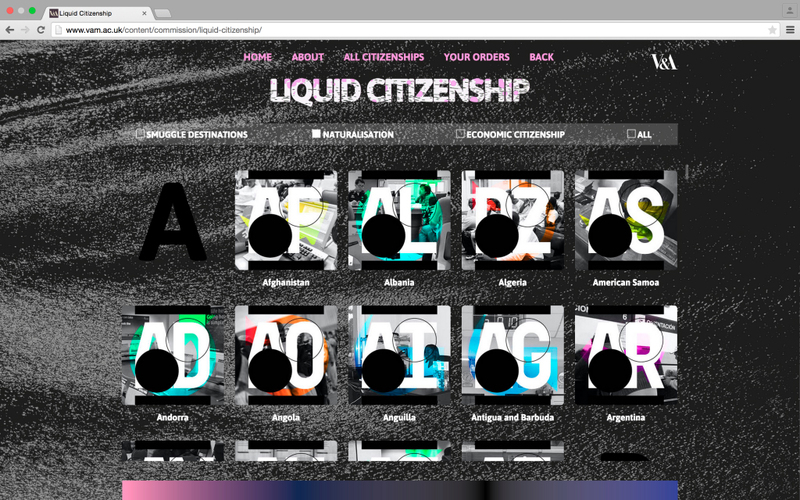 In contrast to commodification, governments increasingly revoke citizenship to punish citizens or to prevent being infiltrated by ‘hostile’ ideas or groups. 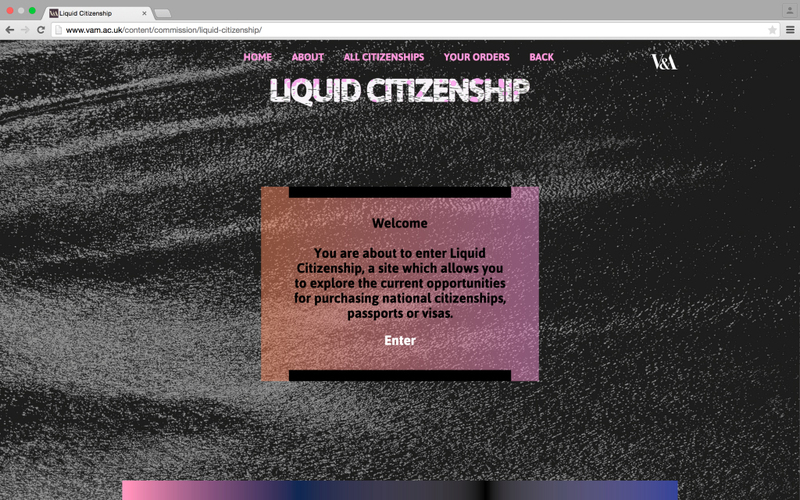 De website Liquid Citizenship offers a glimpse of the increasing possibilities of how this legal status can be dropped and picked up at will – or by force. 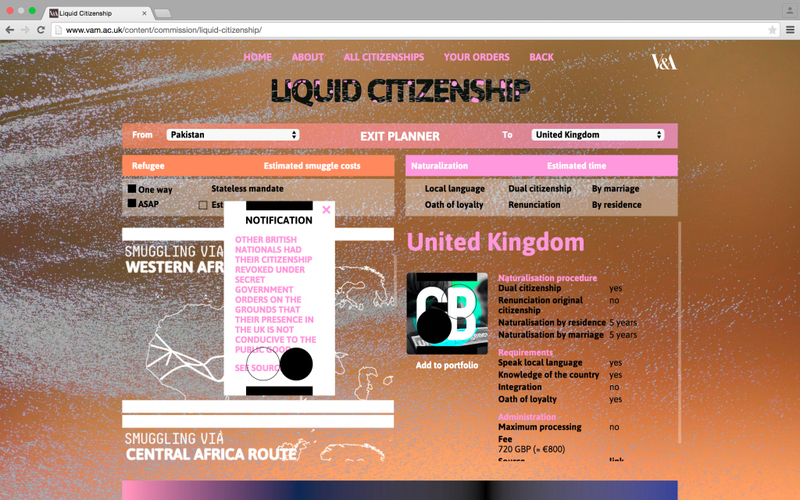 You can browse, compose and download your own citizenship portfolio.